It might be hard to believe for a car that's been around in its current form for quite a while now, but the Jetta is still Volkswagen's best-selling model here in America. That's an even bigger achievement when we consider how fierce some of the competition is today. The 2018 Volkswagen Jetta is one of those cars that have been in production since the 1970s, but now the hybrid and diesel powerplants have been abandoned to concentrate on the car's core strengths of safety, reliability, interior space, gasoline fuel efficiency and excellent quality. With an all-new Jetta on the near horizon, probably for the 2019 model year, it wouldn’t have been out of order for Volkswagen to simply carry the 2017 model over this year. To be fair, the refresh that's been carried out instead isn’t exactly earthshattering, but it's enough to keep the car fresh for at least another year or two. Although there are some noticeably smart new wheels and an altered grill, the main changes come in the form of the trim levels, which are now the S, Wolfsburg Edition, SE, SE Sport, SEL, and sporty GLI model. The HID lights have been discarded, as has the standard manual transmission for the SEL and GLI models, but the whole Jetta family now comes with a six-year, 72,000-mile bumper-to-bumper warranty that doubles what buyers got with last year's model. A pretty conservative approach has always been taken to the Jetta's interior styling by its designers, but that's probably because there's no need to mess with something that's not broken. Volkswagen cars are renowned for quality interiors that are often seen as the standard other models in the same class are judged by, and it's easy to see why here in the Jetta. Along with the inherent quality we also have dimensions inside making the Jetta one of the largest cars in its midsize sedan car segment, which could be a big reason for its continuing popularity. A multi-function steering wheel with extra controls and a bigger 6.5-inch touchscreen have been added in recent years to certain models, but big and easy-to-read dials and sturdy buttons are still the reassuring way we are asked to interact with the Jetta. Both major rating organizations give the 2017 Volkswagen Jetta outstanding scores for overall safety. In fact, the Jetta got a full five-star rating from the NHTSA and the IIHS give it the coveted Top Safety Pick+ rating. The basic structure was strengthened a few years ago, and standard safety features include the likes of six airbags, stability control and a rearview camera. The ratings are not in for the 2018 model yet, but the 2017 Top Safety Pick+ status was only with automatic emergency braking and HID headlights, and the latter have been dropped this year. There are three turbocharged engines in the Jetta lineup, which is down from five engine options not all that long ago. The hybrid and diesels are no more, and the remaining three are now all four-cylinder units. The smallest of the trio is a 1.4-liter engine the EPA rates at 28 mpg in the city, 38 mpg on the highway and 32 mpg combined with the automatic transmission. * The midrange engine is a 1.8-liter that's rated at 25/36/29 mpg, while the most powerful engine option is the 210 horsepower 2.0-liter unit that also gets very respectable ratings of 24/33/27 mpg. 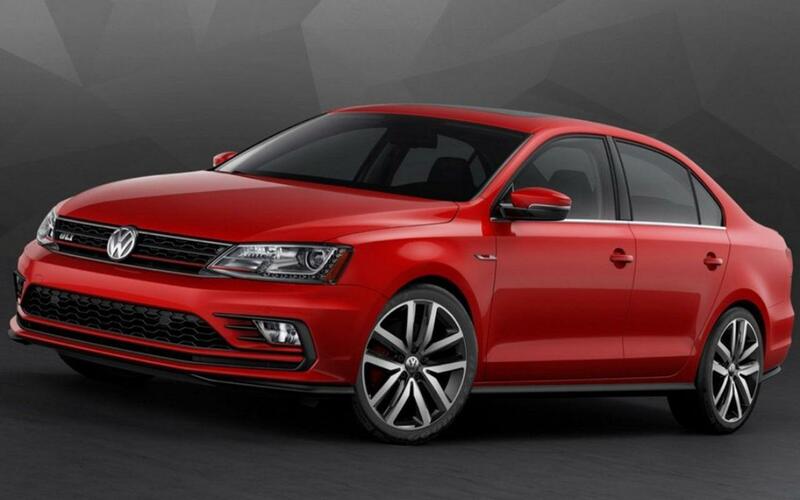 The 2018 Volkswagen Jetta is available now, so don’t hesitate to get in touch with us here at the Wynn Group for more information about pricing and availability, and to arrange a test drive in the refreshed 2018 Jetta.